LG has launched its most advanced smartphone, the LG G2, which is expected to heat up the competition in a segment where Sony Xperia Z1 and Samsung Note 3 are ruling the roost. The entry of the LG G2 will now offer more options to the consumer in the high-end smartphone segment. However, what sets this particular handset from LG apart from the rest is its price although there’s no doubt that it will face tough competition despite a slight price advantage that it enjoys. The launch of the LG G2 smartphone in the Indian market was anticipated for quite some time now. This model has two variants with 16GB and 32GB internal memory, respectively. The price for the 16GB variant is Rs. 41,500 and for the 32GB variant is Rs. 44,500. This particular handset from LG has dimensions of 138.5 x 70.9 x 8.9 mm and weighs around 143 grams, providing a comfortable feel to the owner to carry it. The LG G2 runs on Android v4.2.2 Jelly Bean operating system. This operating system has been remarkable in terms of performance and speed. There are several in-built apps in the operating system such as calculator, alarm clock, notes, timer, reminders, calender. The handset also has Qualcomm MSM8974 Snapdragon 800 chipset and Quad-core 2.3 GHz Krait 400 CPU. The processor plays vital role as data processing is done by these components. Other applications also depend on the system in the phone for this purpose. This gadget is a good option for those who are addicted to playing games, as it is equipped with Adreno 330 GPU. There are some applications which depend on the graphics card for the purpose of editing. Seamless multi-tasking options will be boosted with the help of 2GB capacity RAM fixed in it. It is a temporary memory sector where applications keep values and figures for short duration. If the RAM is large, complex applications can run on the phone very easily. This model is said to be made available in the market within two memory options of 16GB and 32GB as discussed earlier. All the data including photos, pictures, videos and games could be stored in this memory area. MicroSD slot is not available to increase the memory. The LG G2 features are quite impressive when the available specs log of the model is considered. The smartphone consists of an impressive True HD-IPS + LCD capacitive touchscreen. The screens in the past were not suitable for eyes but LCD screen emits less light and produces more clarity. The screen size of 5.2 inches is better because larger screen provides more space to tap fingers. Overall, there are 16M colours that compose the screen. Another factor that influences the phone is the screen resolution which is about 1080 x 1920 pixels. These tiny points on the screen make up the display and higher resolution means that the display is sharper. This impressive display is protected with a Corning Gorilla Glass 3 covering over it. The display of the screen must be protected as scratches cause damage to the screen. 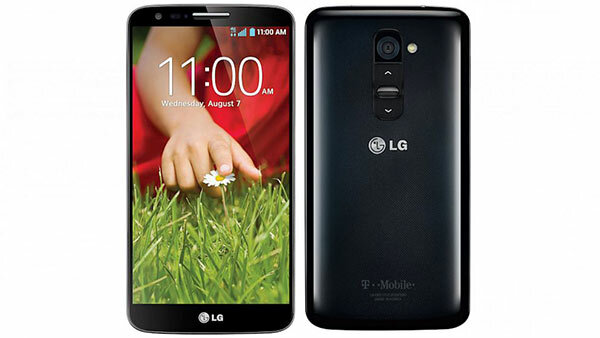 The LG G2 model will also be housed with a rear shooter of 13 MP capacity. In the market there is competition to install a camera with more mega pixel but it may result in noise interference. Thus features like image stabilization, geo-tagging, face detection, HDR, autofocus and LED flash have been included to ensure that best pictures could be captured. The overall results is a good photo shot even in low light conditions. It carries a secondary shooter, that will support video calling option.